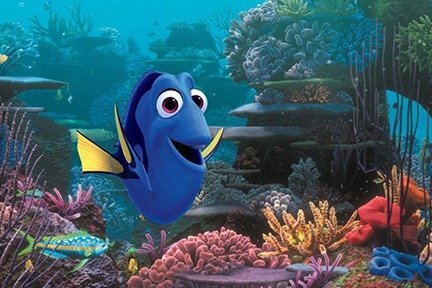 In this sweet 2016 sequel to the 2003 animated blockbuster "Finding Nemo," Ellen DeGeneres reprises her beloved voice performance as the title character, a plucky little fish with profound short-term memory problems. Moviegoers clearly remembered how much they loved the original movie, though, since they flocked to this follow-up, which racked up the highest global gross of any 2016 animated release and became the third highest-grossing Pixar film ever. The voice cast also includes Albert Brooks, Kaitlin Olson, Ty Burrell, Diane Keaton and Ed O’Neill.